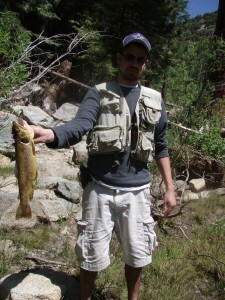 Christopher Templin proudly displaying his biggest Wild Brown Trout ever! 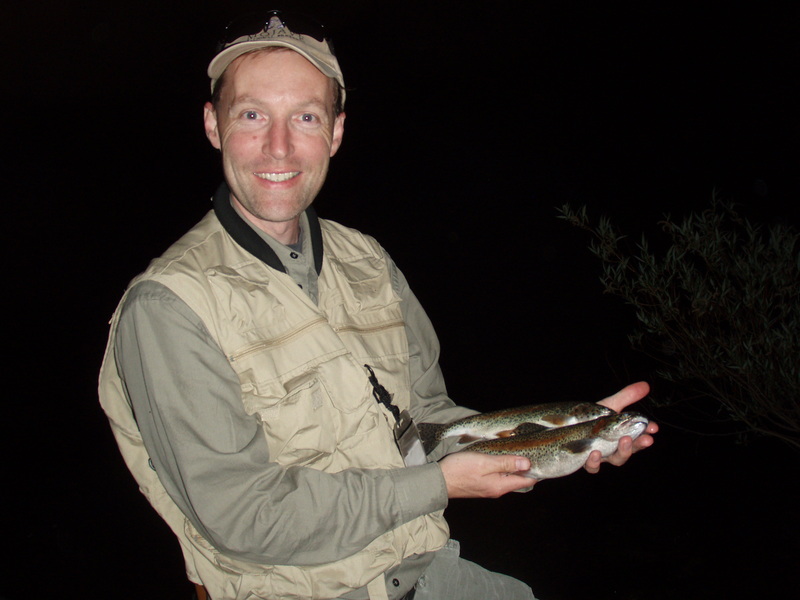 August 9 and 10, 2013 – Bigger fish were more plentiful and small ones less common than in June. Mostly Rainbows again. 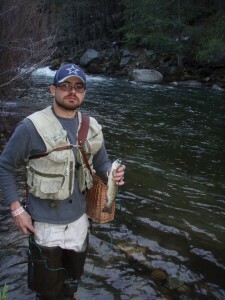 Browns must still be feeding on small Rainbows. 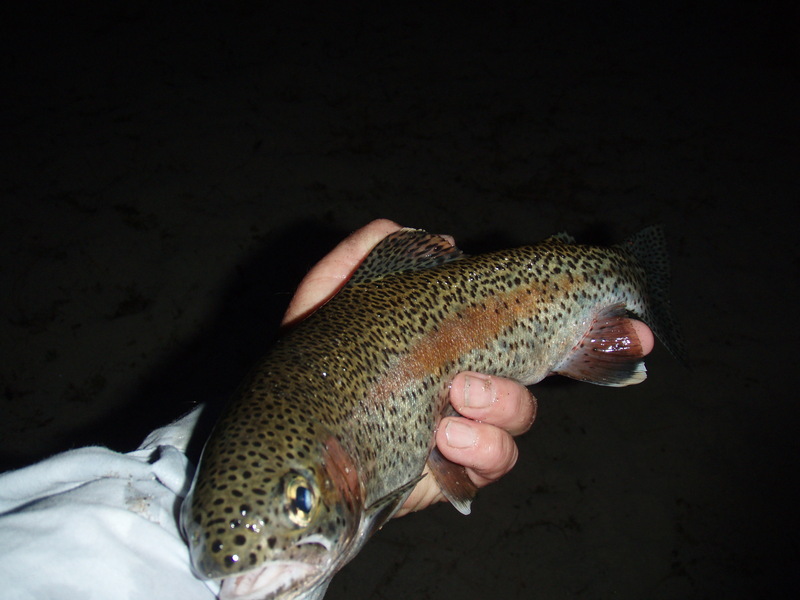 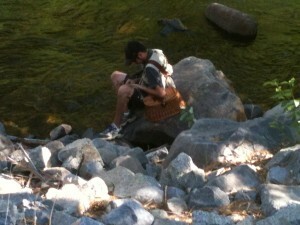 One male Rainbow caught and released in spawning colors and behavior… that was a bit unusual. Still only fish to about 12 inches max, but we had more fishermen so we still had a fish fry on Saturday evening for those who wanted a fresh fish dinner. No evening hatch noticed and stomach contents were minimal with possibly knats or very fine algae… no BMI’s found in stomach’s and very few small ones under rocks with Boy Scouts on Intro To Fishing the S.F. Kings River. 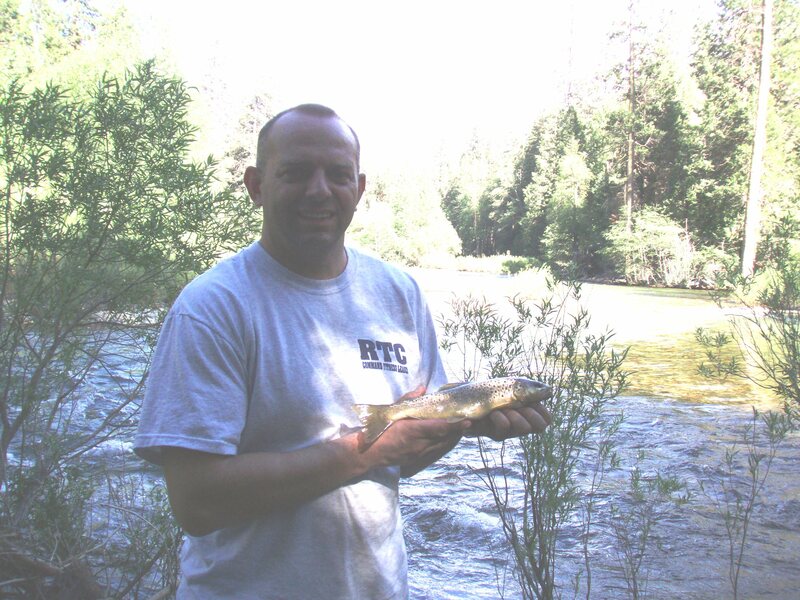 July 12 and 13, 2013 – Only 3 of us fished, and most fish were very small… 4 to 8 inches. Kept a few for dinner, but most were released. 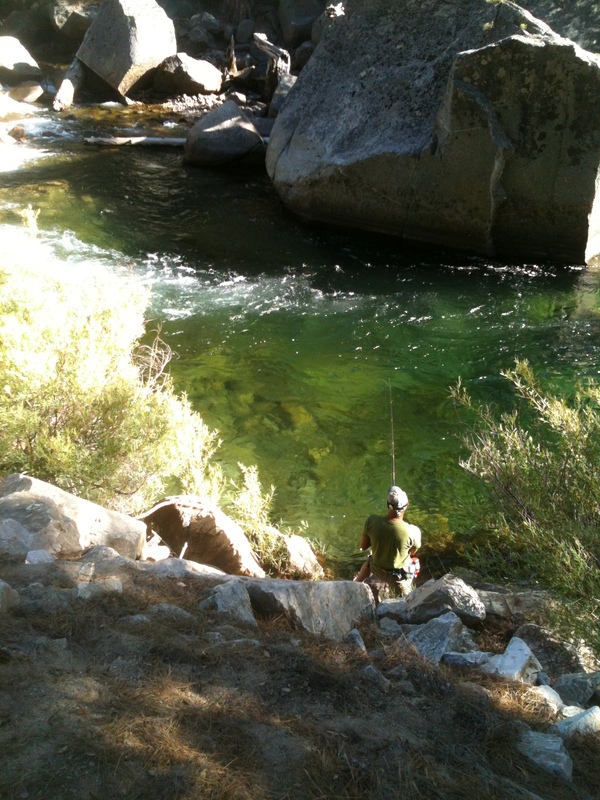 Nothing over 11 inches and mostly Rainbows… Algal growth all gone, but no significant peak since June to wash it away. 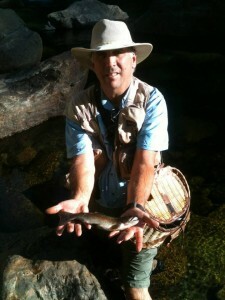 Fishing – May 4-6 2012 The Native Wild Rainbows were spawning and the males were beautifully colored. A great time for catch and release and to focus on the Wild Brown Trout… leaving the spawning areas alone for now.